PAULA MUNIER is the author of the bestselling Plot Perfect, The Writer’s Guide to Beginnings, Writing with Quiet Hands, and Fixing Freddie: A True Story of a Boy, a Mom, and a Very, Very Bad Beagle. 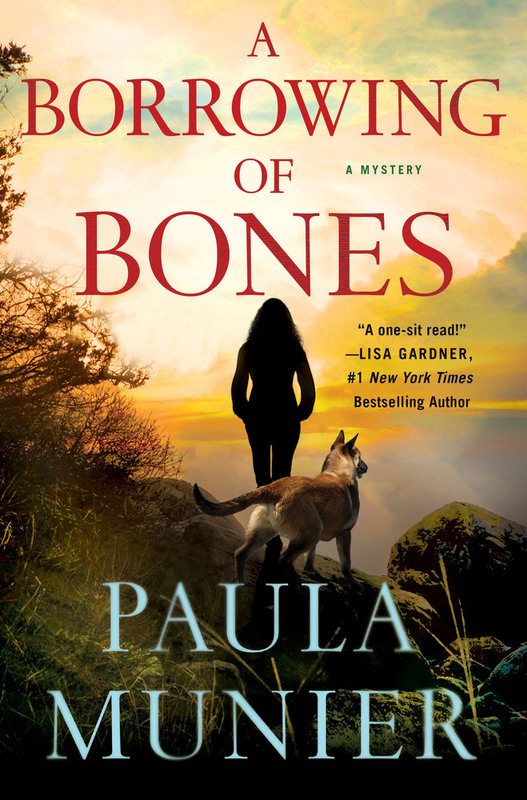 She was inspired to write A Borrowing of Bones by the hero working dogs she met through MissionK9Rescue, her own Newfoundland retriever mix rescue Bear, and a lifelong passion for crime fiction. She lives in New England with her family, Bear, and a torbie tabby named Ursula.